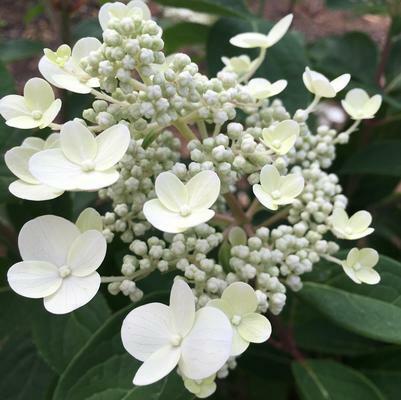 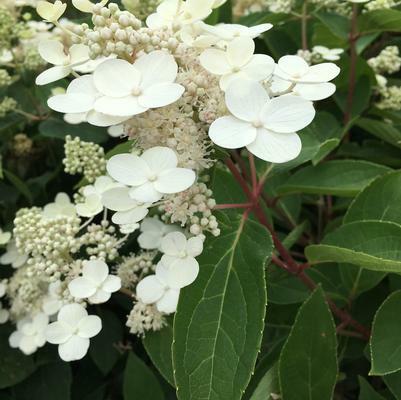 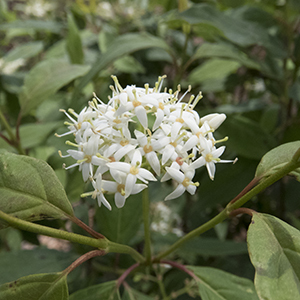 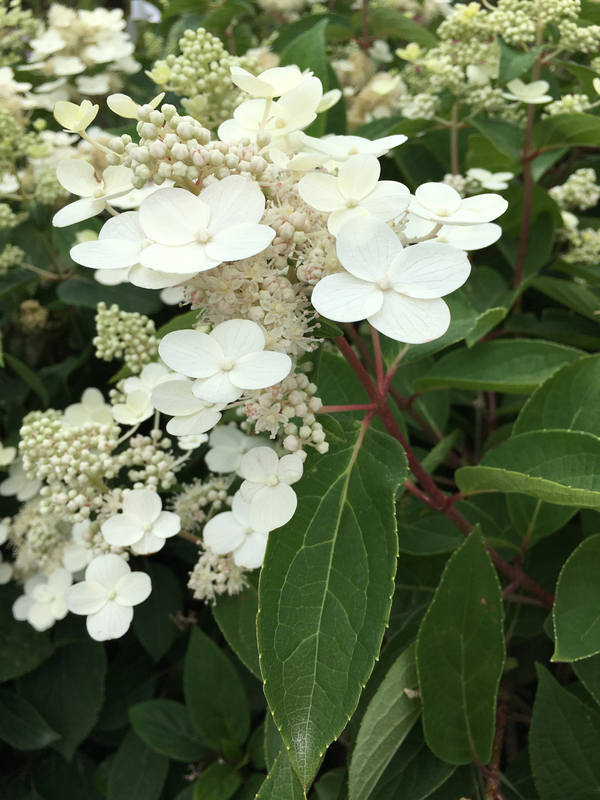 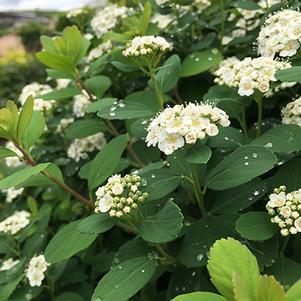 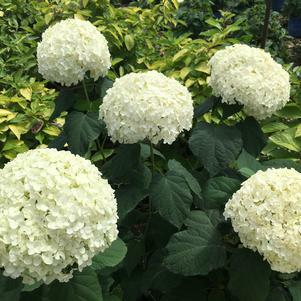 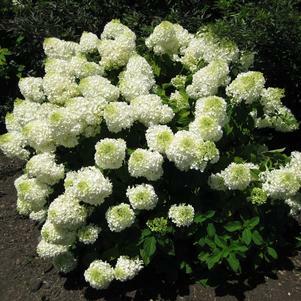 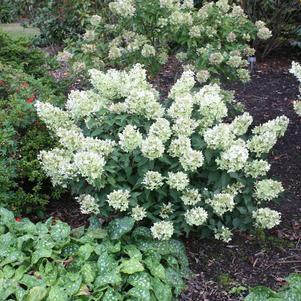 A compact Hydrangea with summer white flower panicles on sturdy stems cloaked with thick, dark green leaves. 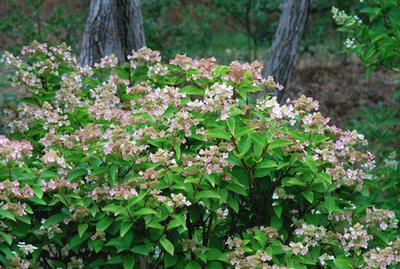 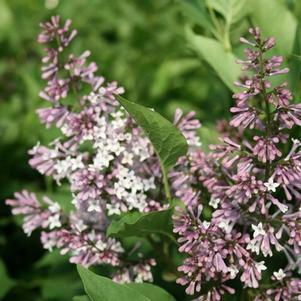 Blooms through fall and flowers age to a pretty pink as the season progresses. 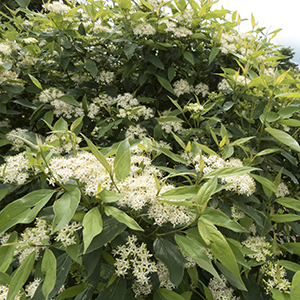 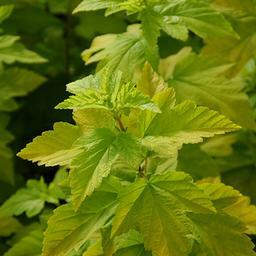 A dwarf plant reaching 3 feet tall and 4 feet wide.